We recieved 42 responses to our survey with interesting results. 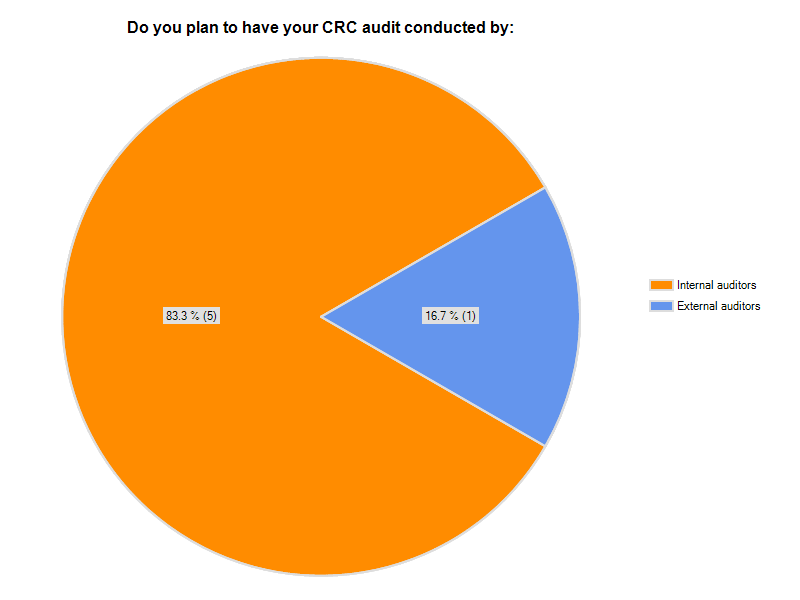 Firstly, it was encouraging to see that 83.3% (35 respondents) had already completed an audit. 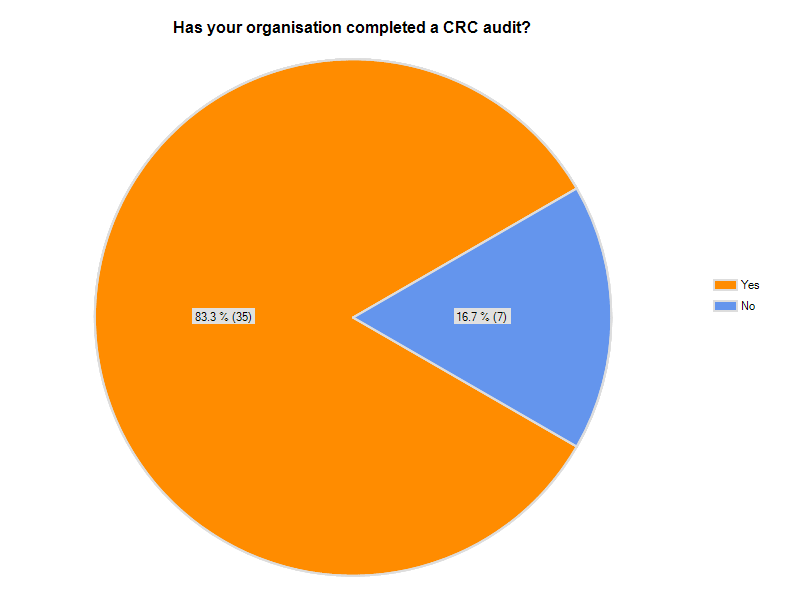 For internal audits, this means that parts of an organisation that were not directly involved in the CRC have now contributed to its operation. For external audits, this demonstrates that the CRC has required input from financial decision makers within organisations. 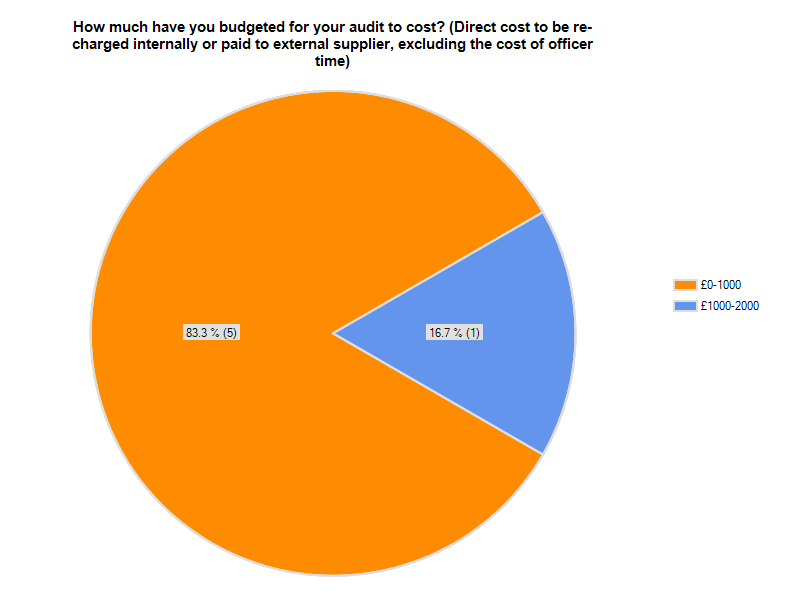 With regards to cost, 48.3% stated that the cost of an audit was between 0 and £1000. Almost all of these were internal audits. This apparantly low cost may not be truly representative of the full staff costs etc., or alternatively may show that most of the checking had been done in conjunction with the reporting and integrated into the overall costs. 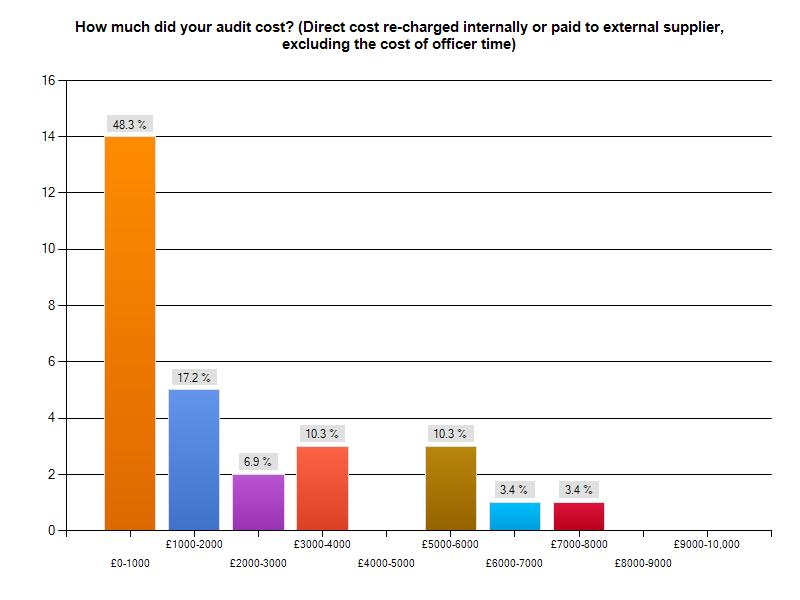 Costs varied considerably, with some respondents (both public and private) paying £7000-£8000, but of those organisations that had not yet completed an audit, none expected to pay more than £2000, with 83% expecting to pay less than £1000.